We love movies. All the thrills, chills, magic, fun and adventure. Use Fandango gift cards to purchase tickets in advance to theaters including Regal, AMC, Cinemark, Carmike and many others (go to fandango.com or text* your zip code to FNDGO to check local theater ticketing availability near you). Fandango, the nation's leading moviegoer destination, sells tickets to more than 28,000 screens nationwide. Fandango entertains and informs with reviews, commentary, celebrity interviews, and trailers, and lets fans quickly select a film and plan where and when to see it. Print tickets at home or receive them as paperless Mobile tickets on a smartphone (available at many theaters). Fandango's portfolio reaches more than 60 million unique visitors per month, with 205 million app downloads, and includes popular movie properties Flixster, Rotten Tomatoes and the Tomatometer™ rating, and Fandango Movieclips, the No. 1 movie trailers and content channel on YouTube. Join our free VIP Membership program to get insider perks including worry-free ticketing, free advance screenings, digital gifts with purchase and more. 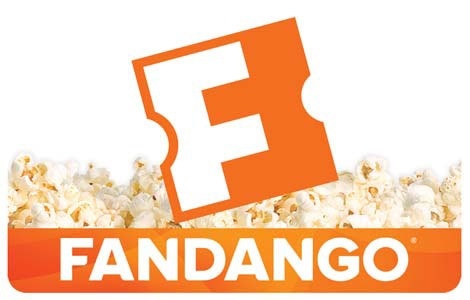 Fandango gift cards can be redeemed online at fandango.com or via our free apps. Cannot be redeemed in- person at any theater box office. National Gift Card is the best place for you to order Fandango gift cards in bulk. We are the experts in all things gift cards and can set up your gift card solutions program for you today. Please contact us for more information on Fandango bulk, direct-to-recipient, or individual gift card fulfillment for your gift card program. Contact us here or call us at 888-472-8747 today!